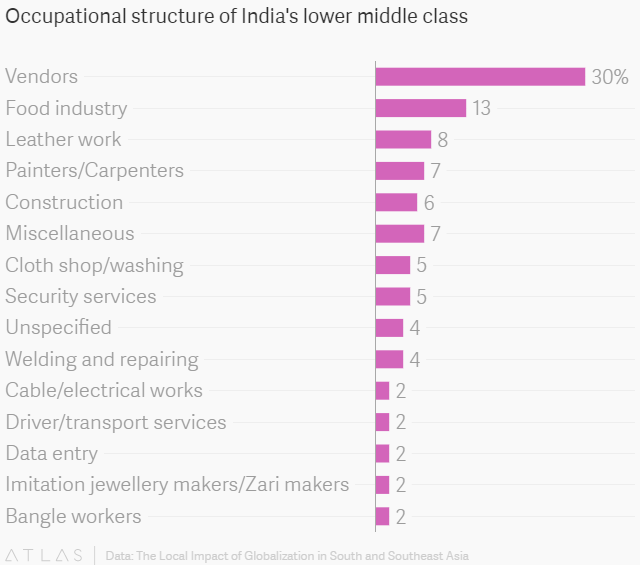 India’s middle class is growing. And how. The new middle class—persons spending anywhere between $2 and $10 per capita per day—has doubled in size to 600 million people between 2004 and 2012, a study by two Mumbai university economists has found. That’s nearly half of India’s 1.2-billion population.